Today, the National Farmers Union (NFU) is the most successful representation body for agriculture and horticulture with members covering two-thirds of the agricultural land in England and Wales. They employ a team of 500 staff to support the needs of its members locally, nationally and internationally. and Lateralo Ring have been used to create a distinctive light signature in reception areas, open plan offices and meeting rooms. 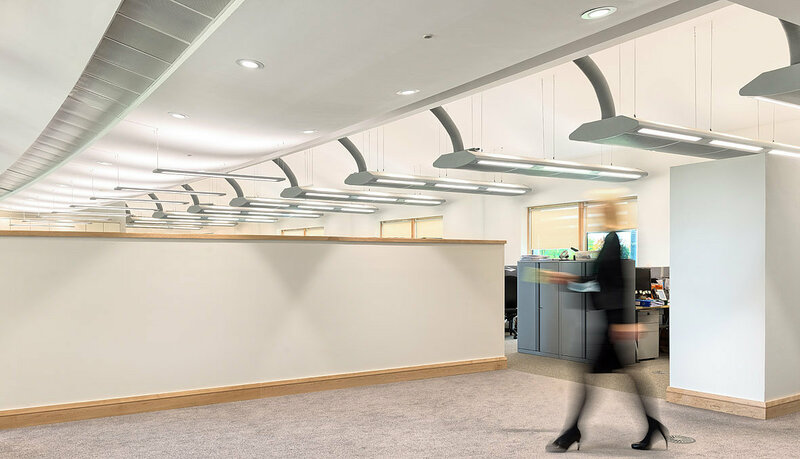 By switching to LED lighting NFU not only improve their office atmosphere and working conditions but also reduce their energy usage and carbon foot print. They pride themselves on their unique network of local offices and advisers which means NFU members are never far from a representative. These branches are co-ordinated from the NFU's purpose-built headquarters at Stoneleigh Park in Warwickshire, which opened in 2005. 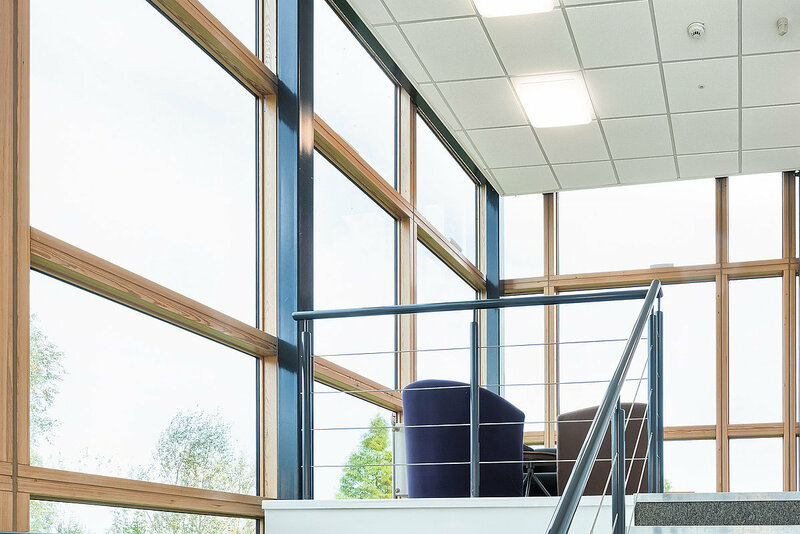 The Agriculture House at the Stoneleigh Park headquarters recently underwent a refurbishment program with the aim of providing a better working environment for all office users, the lighting played a fundamental role in this challenge. TRILUX Lighting was selected to meet the challenges set by the NFU. A major part of the project consisted of designing, prototyping and installing replacement LED lighting cassettes within existing chilled beam ceiling units with both emergency lighting and controls. 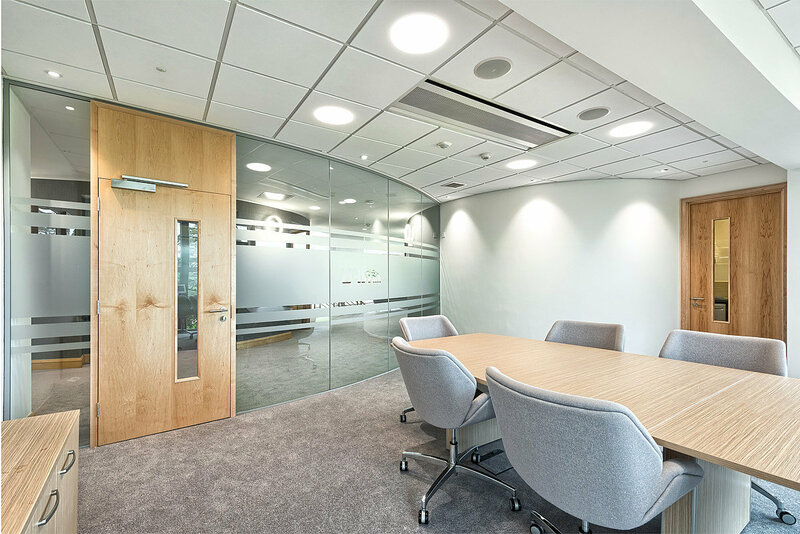 LED was chosen to replace all existing fluorescent and compact fluorescent luminaires throughout the building and Live Link controls were utilised, particularly in the boardrooms for flexible meeting configurations.